I accept the terms and conditions of privacy and ﻿imprint. Do you want to buy, rent or sell your property in Mallorca? 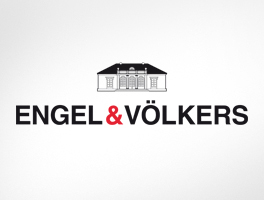 Engel & Völkers is working successfully in high quality real estate in Mallorca as from 1990 and remains one of the most successful companies in real estate worldwide. Under the umbrella of the brand the strong performance of the team is combined with its far reaching property global network. Much of its strength in the property market is due to the extensive education and training of its employees and the continuous interchange of know-how within the company. Renting or letting property in Mallorca, purchase or sale, investment – acquisition of plots, apartments or villas – the Engel & Völkers property portfolio in Mallorca is extensive and of top quality. On Mallorca Engel & Völkers has a strong presence of 18 property shops with approximately 100 employees specialising very successfully in the sale and letting of residential properties in selected areas. Engel & Völkers is present in the following areas in Mallorca: Palma Centre & East, Palma Surroundings/Son Vida, Palma Southwest, Portals, Santa Ponsa, Puerto Andratx, Mallorca West (Deiá,Sóller), Mallorca Central (Santa Maria, Inca) Mallorca North (Pollensa, Puerto Alcúdia, Puerto Pollensa), Mallorca Northeast (Artá), Mallorca Southeast (Santanyi), Mallorca South (LLucmajor). Whether you want an apartment in Palma de Mallorca, a finca in Santa Maria or a villa in Puerto Pollensa, Engel & Völkers is your professional point of contact for the sale or purchase of property on the island. 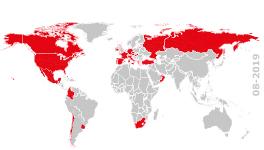 In addition, the company also provides a wide range of properties for long-term lets. Engel & Völkers company policy focuses on innovation, cooperation, professionalism and reliability. Furthermore, the protection of our clients’ interests is foremost in our negotiations which are carried out with the utmost discretion and these values underpin the success of the brand. Start your Mallorca adventure with the purchase of an exclusive home in your new home of choice in Alcúdia! We make real estate dreams come true - Find your exclusive rustic house or villa for sale in Puerto de Andratx!